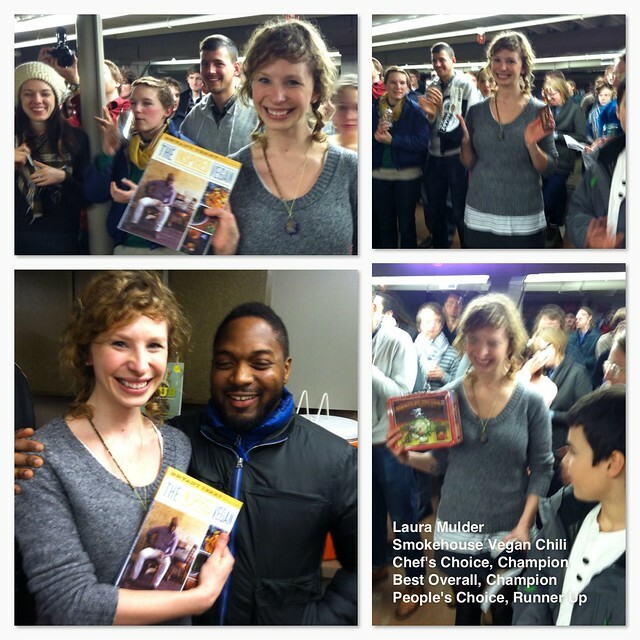 WuW 2012 Vegan Chili Champs! Smokehouse Vegan Chili Cleans Up! Holy Smokehouse! This chili raked in the accolades, with first place finishes in the Best Overall and Chef’s Choice categories, and a second place finish for People’s Choice. Laura Mulder walked away with better than half of this year’s terrific prize packages, including a Tofurky Lunchbox stuffed with VIP coupons for Tofurky pizzas and Go Max Go Candy Bars, a primo Field Roast swag bundle with a t-shirt and vouchers for their delectable vegan sausages, and an autographed copy of Bryant Terry’s The Inspired Vegan. Congratulations, Laura! 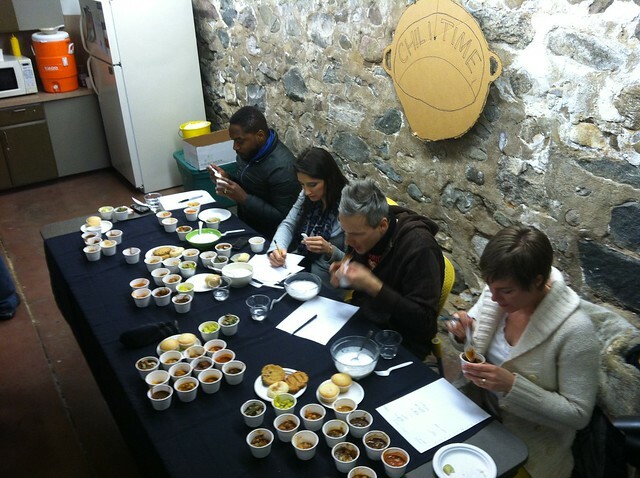 Next year’s competitors can all be glad that you’ll be at the judge’s table in 2013! Uncle Gus’s Chili and Ethiopian Spice Chili in the Spotlight! When the beans were counted, Jill Martindale and B. Money’s “Uncle Gus’s Chili” emerged victorious as The People’s Choice, sending them home with his-n-hers Field Roast t-shirts and some dynamite product. 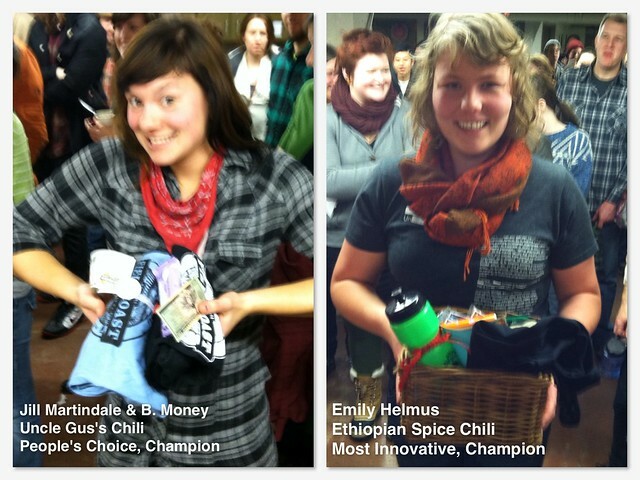 As for this year’s cutting edge, Emily Helmus’ “Ethiopian Spice” was awarded the prize for Most Innovative, earning her a swank basket of goodies from Alternative Baking Company; the fame of this chili has spread so far and wide that there is a whole newspaper article devoted to it!